MLS# 1435134 - 646 Riverside Dr, Maple Falls, WA 98266 - Mark Frye — RE/MAX Whatcom County Inc.
Nice Canterbury park model with added bunkhouse and covered deck and additional storage shed in Division 6 at The Glen. Could be your own secluded retreat! Nice outdoor fire pit to relax around and enjoy the wilderness park like setting. The Glen at Maple Falls has all the amenities you could want, including 2 pools, hot tub, tennis court, library, laundry mat, 2 clubhouse, 24 hr security and gated entry. Directions: Mt. Baker Highway approx 25 miles from I-5 to The Glen at Maple Falls on right before the town of Maple Falls. Follow signs to Division 6. 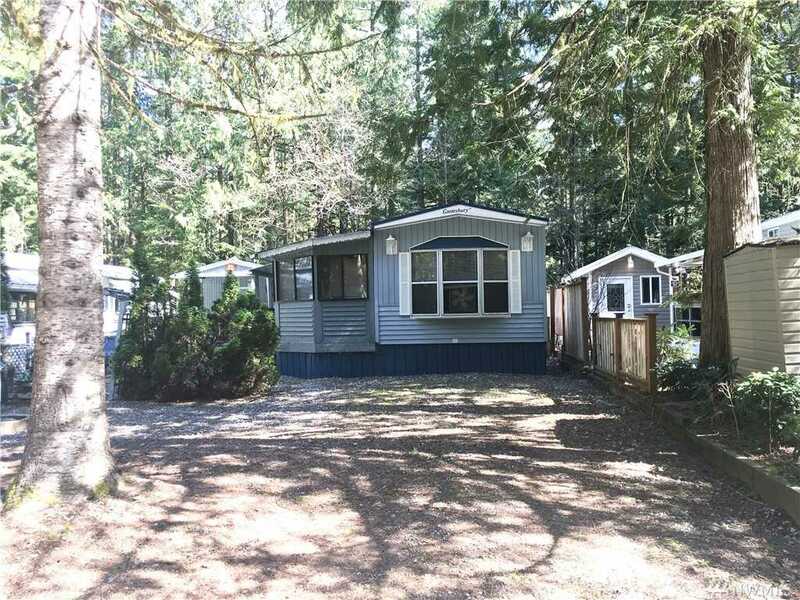 Please, send me more information on this property: MLS# 1435134 – $42,000 – 646 Riverside Dr, Maple Falls, WA 98266. I would like to schedule a private showing for this property: MLS# 1435134 – $42,000 – 646 Riverside Dr, Maple Falls, WA 98266.